Like most doting grandparents, we can’t seem to get enough photos of the grandkids. Whether it’s a special occasion, birthday, holiday celebration, sporting event, recital, or even just everyday life; we love capturing those priceless moments. So you can only imagine how many Disney photos we have with the grandkids. Many, naturally, are only special to us. Nothing artistically unique about most of them; I’m about as far from a professional photographer as The Queen is from Mary Poppins. Recently one of our favorite local professional photographers had a Facebook promotion to do a “look-alike” photoshoot. She was looking for people who resembled someone from the movies and wanted to do a photo shoot inspired by the resemblance. 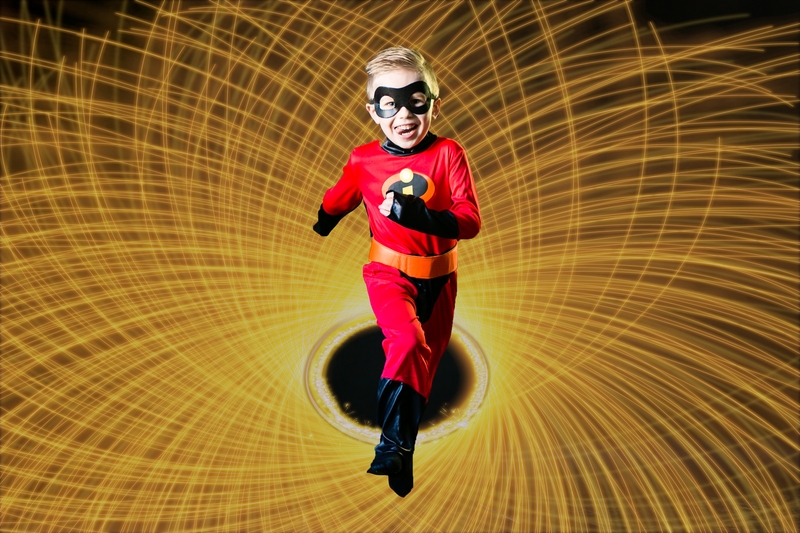 Since our grandson’s appearance AND personality is the spitting image of Dash from the Incredibles, we knew we had to give it a shot. Our experience, naturally, was the result of a generous and extremely talented local photographer. 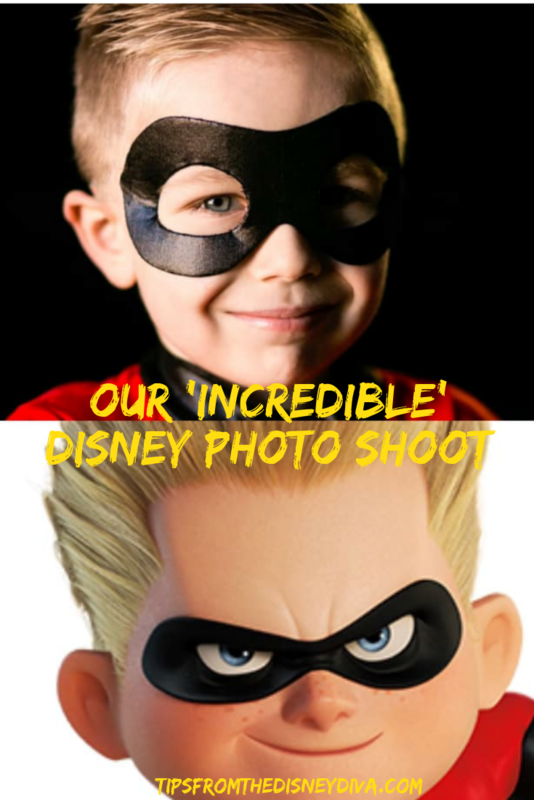 But it may inspire you to have a Disney inspired photo session of your own! Have a little red-headed princess? Grab some dinglehoppers, whozits and whatzits and let your imagination soar. Or maybe your little guy (or girl) is a scallywag. Captain Hook always needs crewmates, so set sail for a pirate photo shoot! Sisters can make a cute Elena of Avalor or Elsa and Anna duo, and boys may choose to be Woody and Buzz. But don’t be limited by a physical appearance or even a personality trait. 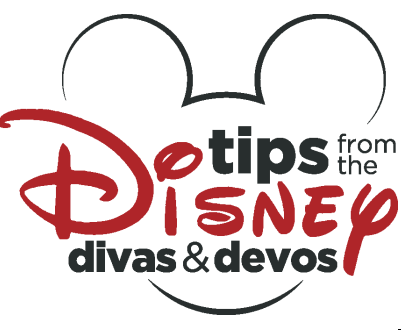 What’s your child’s favorite Disney character or story? 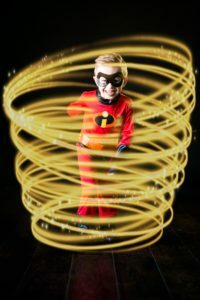 Character Diva has had some truly magical photo sessions with her children. And she’s done it all in a budget friendly way! 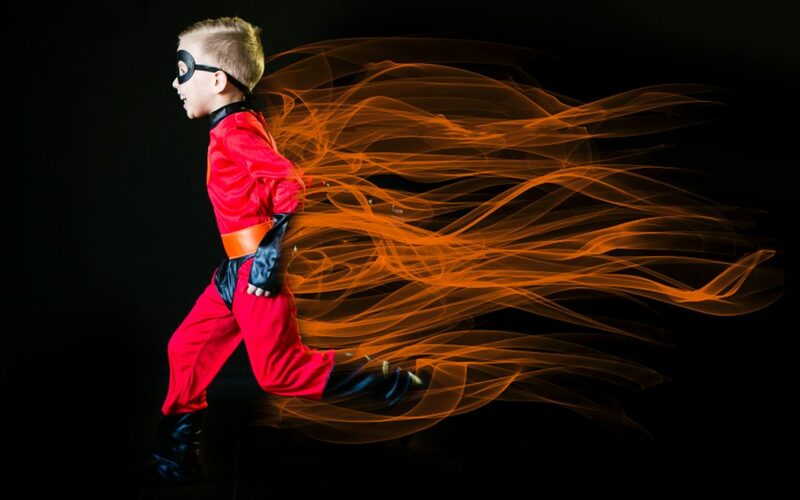 If you want some inspiration for a Peter Pan, Snow White, Cinderella, Alice in Wonderland, Beauty and the Beast, Robin Hood, Sleeping Beauty, or Winnie the Pooh photo shoot, check out her ideas here. She’s also done an amazing Aladdin and Jasmine session, here. And if you’d like a fairy tale beyond Disney, she’s got ideas for Red Riding Hood or Wizard of Oz too! Just click here. Remember, the wardrobe and props can be simple. Character Diva recommends Mom Approved Costumes but you can also purchase from Etsy shops, or use your own creativity to craft a simple costume. One or two props can also add to the magic. What would Belle be without a book or two? 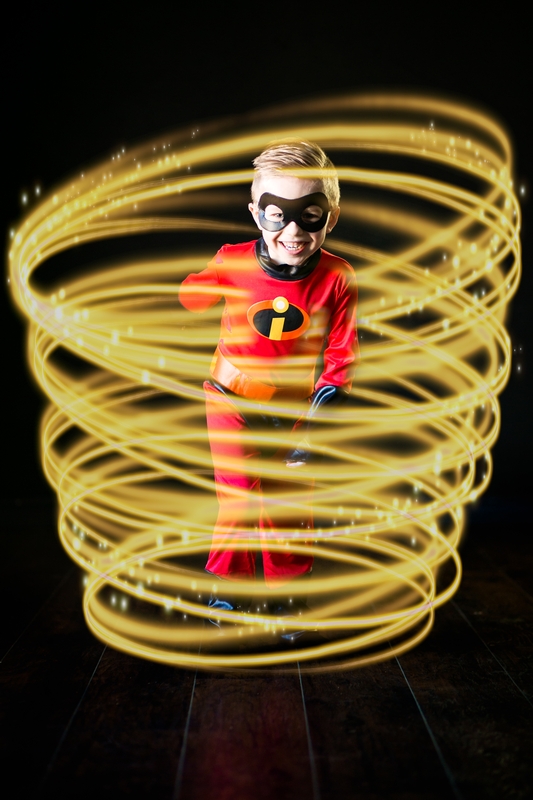 For my grandson’s Dash photo session, all he needed was a simple Incredible costume like this one from Amazon for under $20. We were lucky enough to have an amazing photographer who loves to get creative. (I’d highly recommend Happy Little Tree Photography for anyone in the Midwest.) If you want professional photos, look for someone who is willing to work with you to be a little unorthodox. But even if you just grab some friends or family and create your own photo session, I’m sure your Disney-inspired photos will be some of your most treasured!